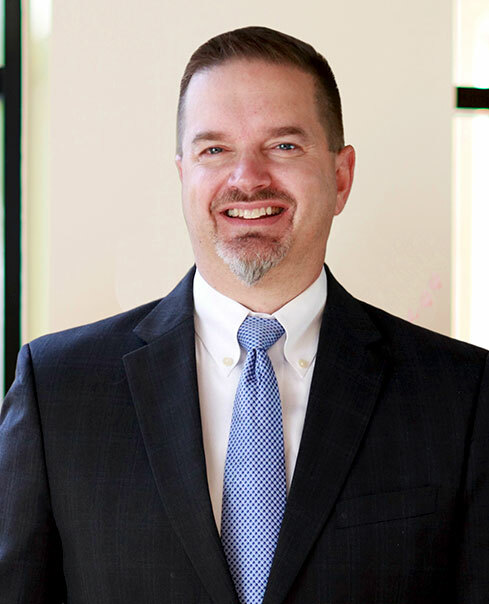 Bob Brzezinski is Board Certified in Civil Trial Advocacy by the National Board of Trial Advocacy and in Personal Injury Trial Law by the Texas Board of Legal Specialization. He tried his first case a year out of law school and has tried dozens more since then, handling complex lawsuits all over Texas and other states including Louisiana, Arkansas, New Mexico, Kentucky, Wisconsin, Pennsylvania, Alabama, and Connecticut. He has briefed and argued cases in front of several Texas appellate courts, the Supreme Court of Texas, and the United States Supreme Court, and has lectured on legal topics at conferences and seminars in the United States and Canada. He has been interviewed on television news programs about his representation of the catastrophically injured. Bob is a peer-nominated member of the American Board of Trial Advocates and has been named among the Top 100 Trial Lawyers by the National Academy of Trial Lawyers since 2012. In 2017 he was co-counsel in a case involving a woman who was suffering from a vitamin deficiency and was misdiagnosed, leaving her permanently impaired both physically and mentally. That trial resulted in a jury verdict of over $14 million. Also in 2017 he helped try a case in Albuquerque, New Mexico, involving a man who was left with bedsores during rehabilitation following a botched surgery; the jury awarded the man and his wife $7.75 million. In 2016 he was co-counsel in another trial involving a young man who was left with a brain injury after a recreational boxing game. That trial resulted in a jury verdict in excess of $17 million, one of the year’s largest verdicts in Texas. In 2015 he helped obtain a $67,470,000 unanimous verdict on behalf of a paralyzed client, one of the largest jury verdicts in the United States that year. In 2011 he helped represent the family of a young man who was nearly cut in half from a forklift rollover. The jury in that trial awarded one of the largest workplace accident verdicts in Texas that year. Recently he was honored to be one of the lawyers representing the family of Sandra Bland in their nationally-spotlighted litigation against the Texas Department of Public Safety and the county jail where Sandra died—a suit which not only resulted in a considerable monetary settlement for her family but which also led to the passage of litigation in Sandra’s name and to permanent changes in jail policies and procedures. Sandra’s death was also the subject of an HBO documentary titled Say Her Name: The Life and Death of Sandra Bland, in which Bob made a brief appearance along with several of the other lawyers who worked on the case. Among his many other recognitions, Bob has been named to the Texas Monthly Super Lawyers® list from 2011-2018, was named a Super Lawyers® Rising Star in 2004, was recently recognized as one of “America’s Top 100 High Stakes Litigators” by America’s Top 100, LLC, was named to the “Lawyers of Distinction” organization in 2018, was selected as one of San Antonio’s best lawyers for 2016 and 2017 by S.A. Scene magazine, was named one of the “Top One Percent” of attorneys in the country by the National League of Renowned Attorneys in 2016 (an organization which examines the professionalism, ethics, and notable verdicts of potential invitees and is open to approximately 1% of the attorneys in the country), was one of the “Premier 100” attorneys in the nation in 2016 according to the National Academy of Jurisprudence, received a Lifetime Achievement award from the “America’s Top 100 Attorneys” organization in 2016, was named one of 100 “Premier Trial Attorneys” in Texas by the American Academy of Trial Attorneys (an honor accorded to less than 1% of the attorneys practicing in the United States), and has been “AV” rated by the Martindale-Hubbell legal publication since 2003–that esteemed publication’s highest rating for an attorney. Bob moved to Texas in the early 1970s from the East Coast. The son of first-generation Polish immigrants, his parents instilled in him the values of loyalty, patriotism, and the importance of family. His father was a decorated World War II veteran, and he and Bob’s mom shared nearly 60 years together. Bob’s folks also passed on to him the notion of “paying your dues”, and as both a high school and college student he worked several part-time jobs simultaneously while attending classes full-time. He was an accomplished school athlete and national merit scholar. While a law student, he began working for Tom Rhodes as a clerk, and stayed with Tom for nearly three decades, ultimately becoming his law partner and the COO of the Tom Rhodes Law Firm, P.C. He joined Watts Guerra, LLP in 2019. He enjoys traveling, writing, and spending his free time with his family.